Food has always been a very important and integral part of our nation as well as culture. And the love that people have for them for food is just jaw-dropping. There are some of the best Indian food items that one must try. When you visit a certain place you make sure you get a taste of every food that they offer. But this fascinating task is not that easy to undertake. One can have some of the most famous dishes of that place but cannot get a hand on everything. But now with this new fashion of organizing food fests, you can have very little that any place offers. Think of some place that provides you every food item on your wish list at just a single place. No more you need to run to fulfill your dreams. Well, we call this place as food fest! There are many famous food fests in India that observe thousands of visitors. NASVI stands for the National Street Food Festival that is organized in Delhi in the month of December-January. This is one of the famous food fests in India which is held in Jawaharlal Stadium where thousands of delhites gather to taste the street food of India. You all must be aware of the love of Indians for street food. They might go to elite restaurants but their day is never complete without having either of the Tikki or samosa or for that fact golgappa. You know how girls crave for it. Not just girls but every Indian is a die-hard fan of these street food items. And what could be better than having them all under the same roof? If you want to experience all this, I highly recommend you to visit this awesome Navsi food fest. Just like the name suggests, this food festival is great and of all the worth. Right from paranthas to kulchas, veg korma to biryani, bhature chana to idli sambar. Every Indian dish is available in the Great Indian food festival, one of the most famous food fests in India. It feels as if whole of India has come in unison to give you a vivid experience of the food that it prevails here. For someone who cannot decide upon what to eat or what not, this is the best place for you. As it provides you with thousands of options. They even have these amazing fun competitions like golgappa eating and vada pav eating. You can always try your luck in them! This fest held in Infra cricket grounds of Bengaluru is a must visit. What makes it different from others is that they provide an opportunity to amateur restauranteurs, bakers to display the soul of their food. This gives a boost to their confidence as well as economic structure. You will find different food items here and all will be mighty fine in taste. Other than this they also take the duty to keep you entertained while you dig in your food plates. The fest offers various dance performances, singers, and bands presenting enchanting music and stand-up comedians. Thus, different from the rest of the lot, the Bangalore food fete is one of the most famous food fests in India. Who wouldn’t like to hang out with friends with a handful of beer? And what makes it even better is the pocket-friendly budget that it offers. Now you can enjoy lots of beer of the best brands with your bunch of friends at BFF, one of the most famous food fests in India. This fest makes sure that none of you return empty hand and stomach. 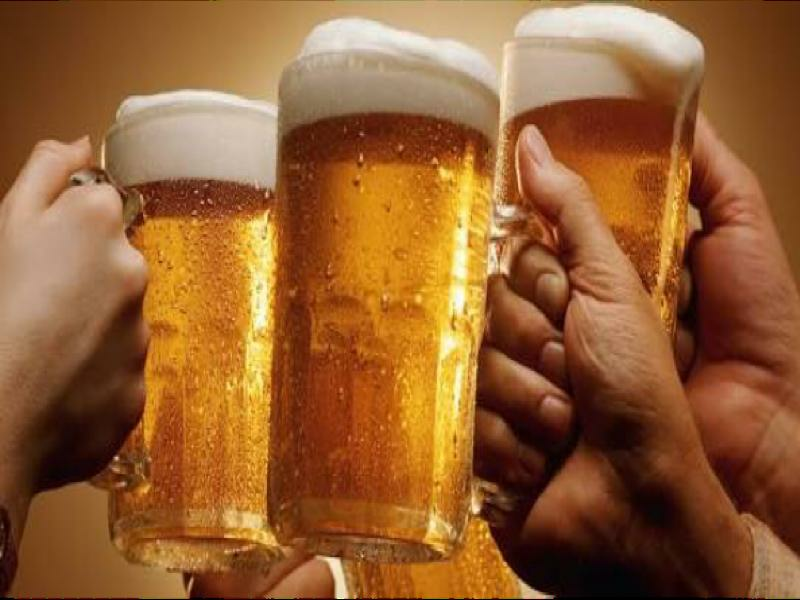 You can enjoy a beer with delectable food and that too at pocket-friendly prices. All you need to do is attend this supercool BFF fest in DLF mall of India and drink all the beer that you can. For anyone and everyone who loves sweet dishes, we have something magical for you. Well, this food festival is a heaven for all of the dessert lovers. Here you can experience every kind of dessert that is prepared in NCR Delhi. Right from elite restaurants to street vendors, you will get dishes prepared by all of them. You will never experience anything similar because there are very few who indulge in dessert food fest. So, don’t miss a chance and grab all of that you can in the Dessertarian fest, one of the most famous food fests in India. What Is The Most Expensive Food?